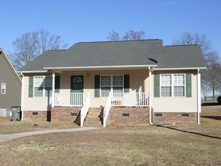 Prosperity specializes in building high quality, energy-efficient, and affordable homes of various sizes—one family at a time—in Cabarrus, Rowan and Stanly Counties. Prosperity is a certified SystemVision Energy homebuilder. SystemVision Energy homes make use of state-of-the-art technology to conserve energy and reduce energy costs for their owners. 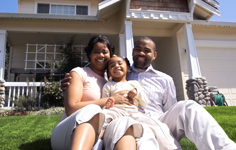 Prosperity has a track record of acquiring tracks of land of variable sizes and using them to construct and offer for sale affordable, high quality and energy-efficient single family homes to low and moderate income homeowners. Currently under development is Prosperity Ridge—a 22-unit, single family residential development located at the intersection of El Pasco and Lindsey Drive in Kannapolis, NC.